Tim McGraw is back with his 14th studio album, ‘Damn Country Music’! The wonderful thing about Tim’s music for me is his ability to remain ‘current’, incorporating contemporary country sounds whilst also maintaining the familiar raw country sound that shot Tim to success all those years ago. The latest addition to his repertoire is a perfect example of this, with pop-country tracks such as ‘Losin’ You’ mixed in with laid-back, traditional country tracks like ‘Damn Country Music’ and ‘Humble and Kind’. Tim never fails to produce albums that appeal to the masses – his loyal fans will love it, and the new generation of country fans are also sure to find something for them on this album. The album begins with one of my personal favourites, ‘Here Tonight’, a duet with his daughter, Gracie. Over the years, Tim has collaborated with stars such as Taylor Swift, Nelly and Ne-Yo, however the prospect of inviting his daughter to the studio was seemingly the most daunting of them all. Tim explained “The hardest part was getting the nerve up to ask her, because, you know, she’s a lot cooler than I am. So it took me a while to get the nerve up to ask her. But I asked her and she said she would do it.” The finished product is a wonderful opening to the album, as the thumping drumbeat contributes to a real sit-up-and-listen track, and the combination of Tim and Gracie’s vocals adds a real personal touch. Another stand-out moment comes with ‘How I’ll Always Be’, a track which is reminiscent of ‘Nashville Without You’ on the ‘Two Lanes of Freedom’ album. 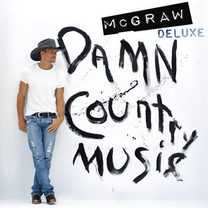 This is Tim McGraw at his very best, fusing a raw, traditional country beat with heart-felt, personal lyrics. There is a warmth about this track that I absolutely love, as the simplistic but effective melody truly wraps you up from the first note. The album also features a superb duet with Big and Rich called ‘California’, one of the catchiest tracks on the album and one that begs to be released as a single. I can’t help picturing a coastal road trip in America with the windows rolled down when I hear this track – it almost has a Kenny Chesney feel to it, and it reminded me of Kenny’s hit single ‘Young’. What I love about this album is Tim’s ability to suddenly switch from the up-beat anthems like ‘California’ to the more mellow, emotional songs like ‘Humble and Kind’. Even by Tim McGraw standards, this is an absolute classic. Tim recently said that ‘Humble and Kind’ is “one of the best songs I’ve ever recorded”, and it really does provide a special moment on this album. The song is written about someone who is chasing their dreams and achieving success, teaching them to “always stay humble and kind” no matter how far they go. It is a lesson in song writing and one that you won’t want to miss. The ‘deluxe’ version of ‘Damn Country Music’ features an extra 3 tracks. The first of these tracks is ‘Everybody’s Lookin’’, and it is fair to say this is a brave experiment by Tim. This is not a country song at all – it has more of an RnB, soul influence. Certainly one that is aimed at the new generation of ‘country’ fans. The second track, ‘Kiss A Girl’, is a return to Tim’s comfort zone. This is a simple but beautiful piano-based track, and I believe it is worth the extra money for the deluxe edition just for this track. Another beautifully written track with a typically warm Tim McGraw melody. The final track, ‘Country and Western’, is a more up-beat production which lyrically reminded me of Brad Paisley’s latest single, ‘Country Nation’, summing up everything we associate with our great genre of music. This is yet another solid project from Tim who never fails to impress, even 14 albums into his career. There are a number of tracks on here that I would put up there with the best Tim has ever produced. Fans that have been with Tim from the start of his career may be slightly put off by a couple of ‘experiments’ shall we say, but there is certainly enough ‘Damn Country Music’ on here to keep everybody happy!